FOLLOWING a successful fundraising campaign, Uplyme will soon have a night landing site for the air ambulance service. 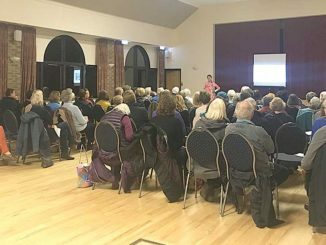 Residents were invited to an open event last week to learn more about the night landing site from Toby Russell of Devon Air Ambulance. 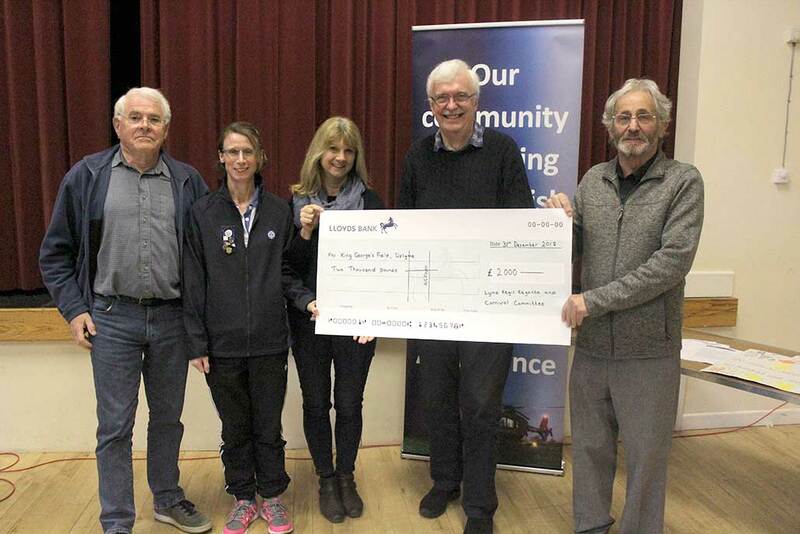 Cheques were also presented to parish councillor Neil Pullinger, who has led the campaign along with fellow councillor Becky Turner and trustees from the King George V playing field, where the night landing site will be based. 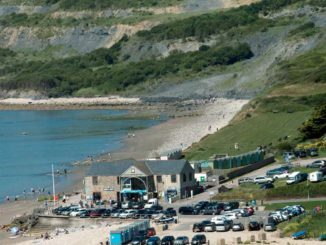 Funds donated included £2,000 from Lyme Regis Regatta & Carnival Committee – the single biggest donation the group has ever given away – as well as £270 from Uplyme Pre-School and a generous donation from local resident Vivienne Graham, raised through collection in memory of her late husband Malcolm. Uplyme and Lyme Regis Horticultural Society and Devon County Council have also helped with funding. 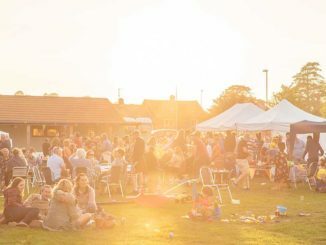 Councillor Pullinger thanked all those who had supported the fundraising appeal and said the contractor would be asked to proceed installing lighting for the site in a matter of days. Jim Thomas, chairman of the King George V playing field trustees, also thanked the parish council for its support, in particular Councillors Pullinger and Turner. Mr Russell said Devon Air Ambulance had two helicopters, meaning they could reach 90 per cent of the county’s population within 10 minutes, and they were now flying until 2am with hopes of creating a 24 hour service in the future. Working with local communities, 116 night landing sites had now been set up, with another 120 in development. He explained that the creation of a night landing site would include installation of a 10 metre column with two LED lights on the playing field. The lights will not be on all the time, but will be switched on by the air ambulance team via mobile phone technology as and when needed.